I am reading an article about Coca-Cola’s newest product: Fairlife. Fairlife is a new milk-based drink developed from reconstituted milk. It has more protein, less sugar, less fat, and more calcium. It is certainly an interesting product. I admire the innovation. 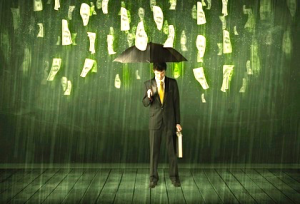 Raining money sounds too good to be true. It’s either a magic trick or a prank. In fact, it sounds like the best of P.T. Barnum’s shameless hucksterism. Not something I expect from the president of a major corporation. On the other hand, I can’t imagine why I will spend $2 for a bottle of water that I can get for a penny from the tap… but I do.